If you’re in Michigan’s Upper Peninsula this weekend, you can take in a professional golf tournament at Sweetgrass in Harris. The Symetra Tour’s Island Resort Championship is a 54-hole stroke-play tournament that has professional golfers competing for a $125,000 purse, and a chance to win their 2016 LPGA Tour card. It’s also part of the Potawatomi Cup, which awards cash bonuses to players finishing in the top six of five Potawatomi Native American Indian-owned casino-resort tournaments. “The Island Resort Championship draws a stellar field of players, several with local ties, providing fans with an exciting week of first-rate golf,” said Tony Mancilla, Island Resort & Casino general manager and event co-chair. Leading the list of contenders is defending champion Molly Arronson, whose ancestors came from Sweden and settled in nearby Escanaba. Last year’s triumph at Sweetgrass was Arronson’s first-career victory and came in a playoff over former University of Washington teammate Sadena Parks. Five-time Mexican Junior National champion Alejandra Llaneza is competing – she leads the Symetra Tour’s Volvik Race for the Card money list – as will No. 3-ranked Augusta James from Canada. After securing her first Symetra Tour victory last week at the FireKeepers Casino Hotel Championship, Madeleine Sheils jumped to 10th on the money list. The FireKeepers was also the first Potawatomi Cup event and earned Sheils an extra $3,000, as well as 500 points toward the Cup. Abby Dufrane: The former Marinette High School two-time state regional champion will play as an amateur exemption. As a freshman at the University of South Dakota, she compiled the second-best scoring average by a Coyote since the school moved to Division I.
Laura Kueny: The Michigan native was diagnosed with leukemia at the age of 4, but recovered and went on to become a two-time state champion at Whitehall High School and was twice named Miss Golf in Michigan. She starred at Michigan State. Caroline Powers: One of the most decorated women golfers in Michigan State history, Powers, who was T-16 at the FireKeepers Casino Hotel Championship, completed her Spartan career in 2013 as the school’s all-time record holder in scoring average. Avery Rochester: An amateur exemption for a second-straight year, Rochester was a three-time Upper Peninsula champion at Marquette Senior High School, where she was a National Honor Society member. After playing her freshman season last year at Columbia College (Missouri), she transferred to Northern Michigan University. Three-day grounds passes to the tournament are $10 and available at the Island Showroom and at dozens of area organizations. Children 17 years and under get in free with a paying parent. For more information visit: http://www.sweetgrassgolfclub.com/symetra-tour-2015, or call 877-ISL-GREEN. 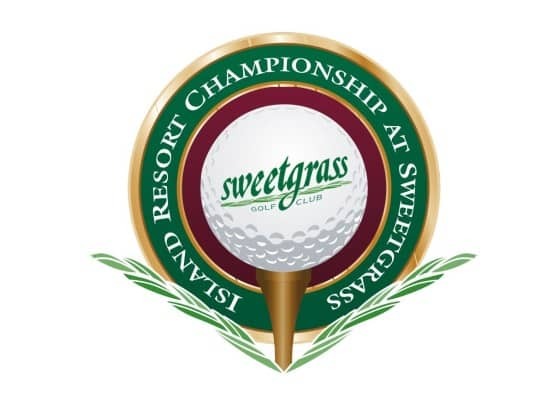 Welcoming the world’s brightest new talent in women’s professional golf, the Island Resort Championship at Sweetgrass is a Symetra Tour – Road to the LPGA event held at Sweetgrass Golf Club in Michigan’s Upper Peninsula. The 54-hole stroke-play event will be held June 26-28, 2015. Located in Harris, Michigan, Sweetgrass Golf Club was designed by Michigander Paul Albanese and is situated at the Island Resort & Casino. Both course and resort are owned/operated by the Hannahville Indian Community of the Potawatomi Nation. The Symetra Tour – Road to the LPGA, is the official Qualifying Tour for the LPGA and enters its 35th competitive season in 2015. With the continued support of its umbrella sponsor, Symetra, the Tour’s mission is to prepare the world’s best young women professional golfers for a successful career on the LPGA Tour. Top-10 money winners receive full, equal status for the following season on the LPGA Tour. The 2015 schedule includes 23 tournaments with stops in 12 U.S. states and a total purse of $2.73 million. Symetra Tour events have contributed more than $5 million to charitable organizations throughout the nation since 1989.